‘First Night’. I was glad to hear Raven again with his terrific delivery style. He gave a number of poems, one of which, though untitled, was about jealousy and was very impressive. He also gave some from Heaney and Longfellow. 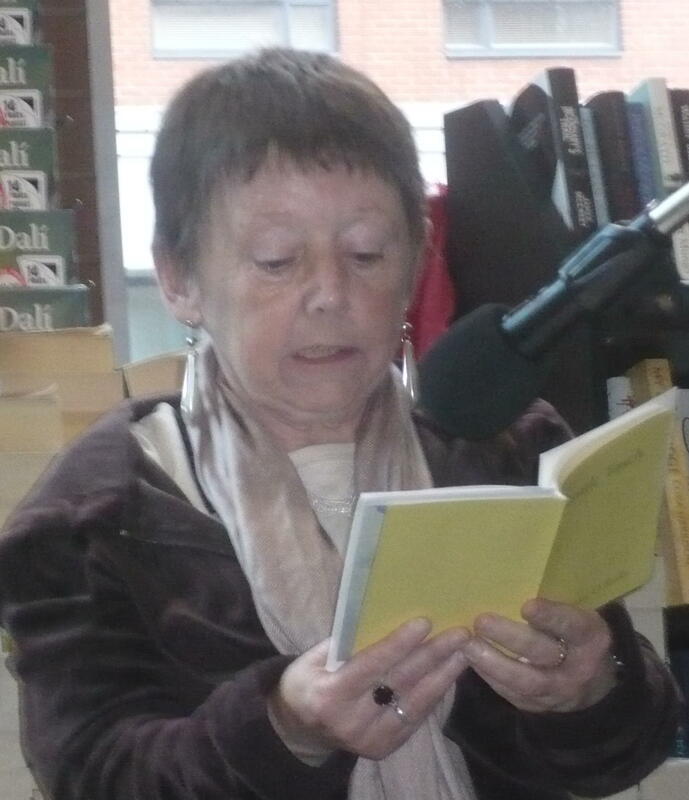 The evening finished with some story excerpts from Eileen Keane, whose stories will be published soon. ‘And Suddenly the Sun Again’! But I gave ‘Kristallnacht on the Late Night Bus’ a poem about a rather frightening incident that happened to me some years ago (this poem appeared in a SHOp issue in 2002); and also ‘There is an Hour of Night’ which appeared in the Galway ‘Crannog’ magazine in 2005 and is a favourite of mine. Well, there’s not really much about ‘moonlight’ in either of them, but it’s the nearest my collection can go! I made up (somewhat) by giving a poem ‘moonlght, i.e,’ and a not-so-serious one called ‘from The New Encyclopaedia of Irritating Human Behaviours, (Vol. 3)’ which I’m still working on. Only up to volume 3 yet. So much material! A great reading and really well attended. We actually ran out of chairs: a GREAT sign for a poetry reading!!! Hi Eamonn, I really enjoyed your piece from the encyclopedia, brilliant!